IT’S THE NAME of an interesting mew promotion that offers a 15-minute cleansing foot massage and a 45-minute deep tissue back and shoulder massage plus an opportunity to make a gift of light to a famous Thai Temple. The promotion lasts until Feb. 29. Cost of the treatment is 2,500BHT. In return, Shangri-La Hotel Bangkok will donate, on your behalf, a set of 100-hour candles to the Wat Yai Chaimongkol Temple in the ancient Thai capital of Ayutthaya, which was affected most in the recent flooding. 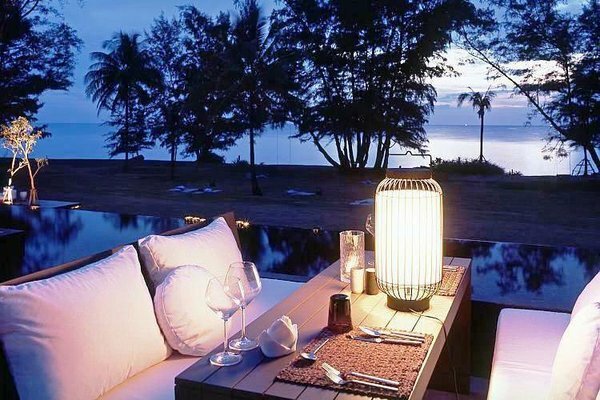 FOUR SEASONS KOH SAMUI and Four Seasons Chiang Mai are offering special packages to welcome the Chinese Year of the Dragon. Chinese New Year is Jan. 23 in 2012 and the packages are available at both resorts from Jan. 16 to Jan. 31. Four Seasons Koh Samui is offering a four-night package that features a beachside dinner, a revitalizing treatment at its forest spa or a cruise onboard the resort’s Minor Affair sunseeker cruiser to explore the 40-plus islands that make up theAngthongNationalMarinePark. The package includes accommodation in a villa with a private infinity-edge plunge pool; daily breakfast for two; an 80-minute Siam Fusion Massage for two; a set dinner for two at Lan Tania and a special Chinese New Year welcome amenity. 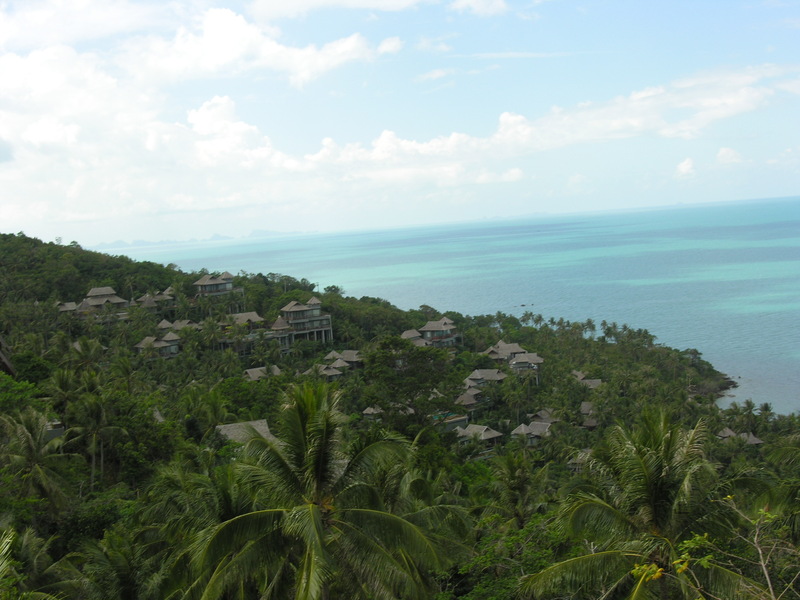 Rates for the koh Samui package start at 28,250 BHT for a one-bedroom villa per night, based on double occupancy. The Four Sasons Chiang Mai celebration is a three-night package and includes accommodation; daily breakfast for two; a 90-minute Orient Bland Massage for two; one set dinner for two at the Sala Mae Rim; and a special Chinese New Year welcome amenity. Rates or Four Seasons Chiang Mai start at 21,860 BHT per room, per night for a Garden Pavilion, based on double occupancy. Those who wish to extend their stay have the option of adding an extra night or nights at Four Seasons Bangkok or Four Seasons Koh Samui at special rates. THREE-STAR Michelin Chef Regis Marcon will be guest chef at Six Senses Yao Noi Beyond Phuket for a “sensational week” of dinner, cooking classes and wine-tasting from Jan. 5-12, 2012. 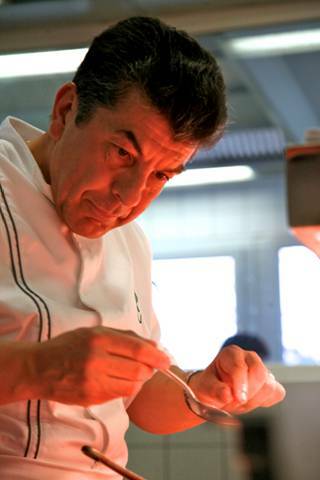 His restaurant, Restaurant Regis Macon, opened its doors in 1979 and now employs a staff of 48. It received its third Michelin star in 2005, placing it among the top 80 restaurants in the world. It has also been awarded five Toques by the prestigious Guide Gault et Millau, placing it alongside 11 other restaurants out of 3,560 restaurants reviewed. It currently scores 18/20 points, among the highest awarded in the world. Mavish Puri, general manager of Six Senses Yao Noi Beyond Phuket, welcomed M. Macon and noted that Regis Marcon was on the same page as Six Senses and its guiding philosophy of SLOW LIFE. M. Marcon is also the recipient of the Ecolabel European, committing his restaurant to respect the environment by using local and organic ingredients as much as possible, renewal energy, maximum recycling, capture of rainwater, minimum energy wastage and eliminating the use of non-recyclable packaging. M. Macon is internationally recognized as an expert in mushrooms, which are featured in many of his restaurant dishes. He will be featuring the spa’s own organically grown mushrooms in some of his creations during his visit at Yao Noi. The week kicks off on Thursday, Jan. 5, with wine tasting at The Hilltop Reserve from 7-8 p.m. Canapés created by M. Macon will also be served. Cost per person – 1,500 BHT. Friday, Jan. 6, starting at 7.30 p.m., dinner featuring M. Macon’s favorite regional dishes, using local produce from thePhangNgaBay region. The dinner will be limited to 20 people at the communal table at the resort’s The Living Room Restaurant. Cost per person – 2,500 BHT. Saturday, Jan. 7, a wine dinner at The Dining Room, starting at 7.30 p.m. A four-course dinner with paired wines for each course. The dinner will start with a cocktail reception at the Chefs Table above the Dining Room. Cost per person – 4,500 BHT. Sunday, Jan. 8, there’s a cooking class at The Chef’s Table from noon to 2 p.m. M. Macon will present two of the dishes from the wine dinner with recipes, and guide guests through the secrets. The class is limited to 10 people. Cost person, including accompanying wine – 4,000 BHT. CHRISTMAS EVE at SALA Phuket starts off with a poolside cocktail party, carol singing by the local Mai Khao primary school choir and ends with Christmas Dinner and a special screening of the hit comedy Four Christmases on the lawn under the stars. Christmas Eve at SALA Samui will feature an energetic fire dance display in true Samui style. Chef Nick and his culinary team will be serving a set menu of seafood, Australian lamb loin and chocoholic favorites. Christmas Eve at SALA Khaoyai will be an intimate experience that will include a traditional turkey dinner at SALA Hilltop Restaurant, which offers dramatic 360-degree views of the Khaoyai countryside. At SALA Phuket, you’ll be able to welcome 2012 at a New Year’s Eve beach party that kicks off at 8 p.m. with a cocktail party in a poolside sun lounge. Next up: Dinner at 9 p.m. that includes sea food and meats with SALA’s unique blend of Pacific Rim–Asian fusion. Cost per person – 5,200 BHT. Then, on New Year’s day, it’s Chillin’ and Grillin’ Sunday Barbecue. Cost per person – 950 BHT. New Year’s Eve at SALA Samui will be a night of fire and dance that starts at 7 p.m. with dinner, described as a “festival of culinary delights” by the pool. Guests will be entertained during the evening with three separate dance-and-music acts that will feature a Polynesian Dance, a long drum performance and a Fire Dance show. At midnight, the skies will light up with pyrotechnic shows and SALA Samui’s Waterfall of Fire. Cost per person – 4,900 BHT. THE THAI SPA ASSOCIATION has teamed up with SGS, the world’s leading inspection, verification, testing and certification company, to establish a voluntary Thai Spa Excellence Quality Standard. In announcing the new standard, Andrew Jacka, president of the Thai Spa Association, noted that it would help Thai spa operators define and monitor the quality and safety of their operations. 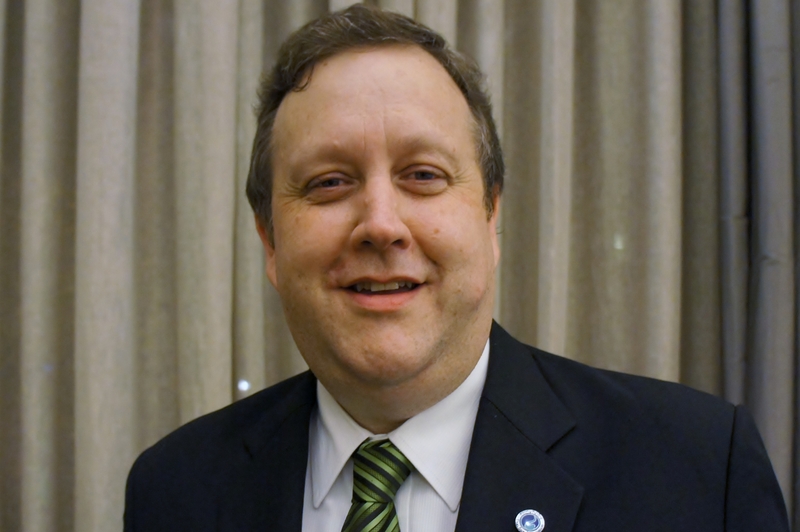 He said he has “high expectations as the new standard is rolled out to the entire Thai spa community” and paid special tribute to the association’s standards and practices committee, under the chairmanship of Sunai Vachiraswarakarn, and its work with SGS in the development of the new standard. The standard is based on five key elements – facilities and infrastructure and spa operational control that includes licensing and hygiene, sanitation and cleanliness, personnel and monitoring, and improvement. As an independent audit company, SGS is recognized as the global benchmark for quality and integrity. It has more than 67,000 employees and operates a network of some 1,250 offices and laboratories around the world. In this assignment, its mandate was to develop standards that will protect the reputation of Thai spas and leverage Thai spa potential for continuous improvement, including internal cost controls by providing key stakeholder endorsement of best spa practices. “We know this new standard will help Thai Spa reinforce its premier marketing position inAsia,” added Andrew Jacka. For further information: info@thaispaassociation.com (66-2665-7395) or ssc.thailand@sgs.com (66-2678-1813). THE SPA at Four Seasons Bangkok is offering a Winter Spirit package that provides a natural way to renew your skin. The emphasis is on hydration and includes a White Coconut Body Scrub and a Jasmine Aroma Facial. Coconut oil, with its gentle exfoliating, cooling and healing qualities, is a natural and an extremely effective moisturizer, says Supanee Tientongtip, spa manager.and honey to replenish moisture and vital nutrients. Fine kaolin clay is then used to absorb toxins and leave the skin pure and with a youthful glow while the sweet-smelling Jasmine – one of the most significant flowers in tropical Asia– indulges your senses and softens your skin. The two-hour treatment costs 5,900 THB. THAI HOTEL/RESORTS AND SPAS walked away with more than 60 Hospitality Asia Platinum Awards for 2011-2013, including three which make the Best 10 HAPA Hotel of the Year list – Four Points by Sheraton Bangkok, Pathumwan Princess Bangkok and Tower Club at Lebua Bangkok. Four Thai resorts – Anantara Phuket Villas, Anantara Golden Triangle Chiang Rai, Dewa Phuket and KC Resort and Over Water Villas Koh Samui – placed in the HAPA Best 10 Resort of the Year list. The Mezzaluna, Tower Club at Lebua Bangkok was named HAPA Restaurant of the Year. Platinum winners in this category were: Acqua Phuket; Breeze, Tower Club at Lebua; Da Maurizio Bar and Ristorante, Phuket; Sirocco, Tower Club at LeBua; and The Cliff Bar & Grill, Koh Samui. Distil and Skybar, two restaurants at the Tower Club at Lebua, were platinum winners in the HAPA Entertainment Outlet of the Year list. Red Mountain Golf Club, Phuket, was named HAPA Golf Club of the Year. Platinum winners for the HAPA Spa of the Year award – Anantara Spa, Anantara Phuket Villas, and Coqoon Spa, Indigo Pearl Phuket. Deepak Ohri, LeBua Hotels & Resorts Bangkok, was named HAPA Hospitality Entrepreneur of the Year and Lars Ydmark, Dewa Phuket, a platinum winner. Thomas Hoeburn, Millennium Hilton Bangkok was a platinum winner in the HAPA General Manager of the Year category. HAPA Chef of the Year – Chef Alessandro Frau, Acqua Phuket; Chef Erwin Eberharter, Dusit Thani; and Chef Paolo Fadda, Da Muarizio Bar & Ristorante Phuket. HAPA Signature Luxury Hotel – Conrad Bangkok; and gold winners – Anantara Golden Triangle Chiang Rai; and KC Resort and Over Water Villas Koh Samui. HAPA Signature Hotel – Conrad Bangkok, Four Points by Sheraton Bangkok, Tower Club at LeBua Bangkok and Pathumwan Pricess Bangkok. 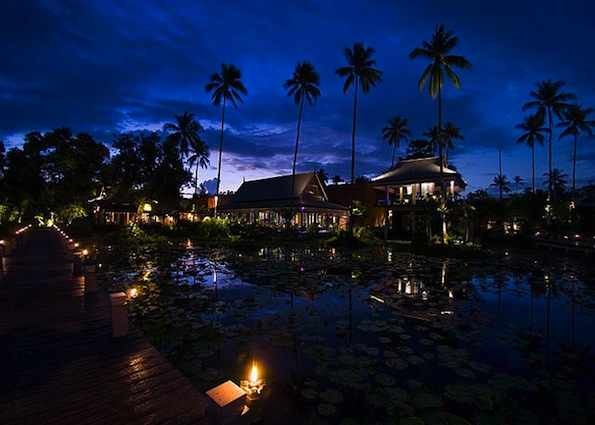 HAPA Signature Family & Recreational Resort – Dewa Phuket; and gold winner – Le Meridien, Chiang Rai. HAPA Signature Service Residence – Dewa Phuket. 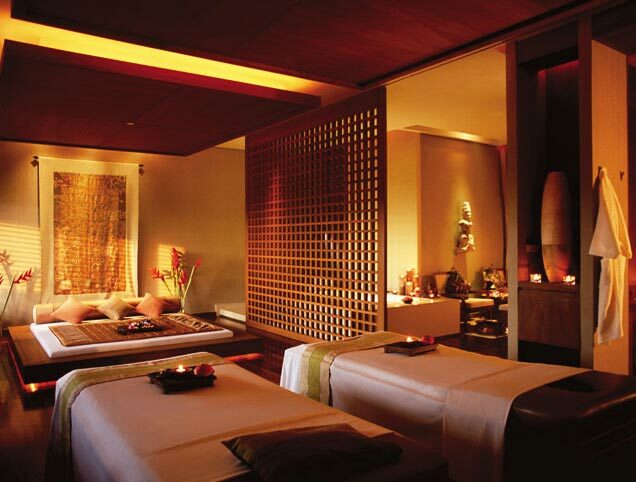 HAPA Signature Spa Experience – Coqoon Spa, Indigo Pearl Phuket and Luxsa Spa, Hansar Samui. HAPA King of Kitchens – Chef Alessandro Frau, Acqua Phuket and Chef Paolo Fadda, Da Maurizo Bar & Ristorante Phuket. HAPA Master Chef, Western Cuisine – Chef Alessandro and Chef Paolo Fadda. HAPA Master Chef, Asian Cuisine – Chef Paitoon, Anantara Triangle Chiang Rai. HAPA Master of Wine – Randy Chinn, Baan Rim Pa Phuket. HAPA Most Exquisite Dining Experience – Acqua Phuket, Da Maurizio Bar & Ristorante Phuket, Mezzaluna Tower Club at LeBua Bangkok, The Cliff Bar & Grill Koh Samui. HAPA Most Chic All-Day Dining – Cafe Mozu, Tower Club at LeBua Bangkok; and The View Restaurant and Wine Lounge, KC Resort and Over Water Villas Koh Samui; and gold winner – Flow, Millennium Hilton Bangkok. HAPA Most Trendy Casual Dining Restaurant – Acqua Phuket, Da Maurizio Bar & Ristorante Phuket and The Cliff Bar & Grill Koh Samui; gold winners – Baan Rim Pa, Phuket and Joes Downtown Phuket. HAPA Unique Food & Beverage Concept – Acqua Phuket; Maya, Millennium Hilton Bangkok; and gold winner – Da Maurizio Bar & Ristorante Phuket. HAPA Most Cosmopolitan Bar & Restaurant – Sirocco, Tower Club at LeBua Bangkok; and gold winners – Baan Rim Pa Phuket; Da Muurizio Bar & Ristorante Phuket; Joes Downstairs Phuket; and Threesixty, Millennium Hilton Bangkok. HAPA Best Front Office – Anantara Phuket Villas. 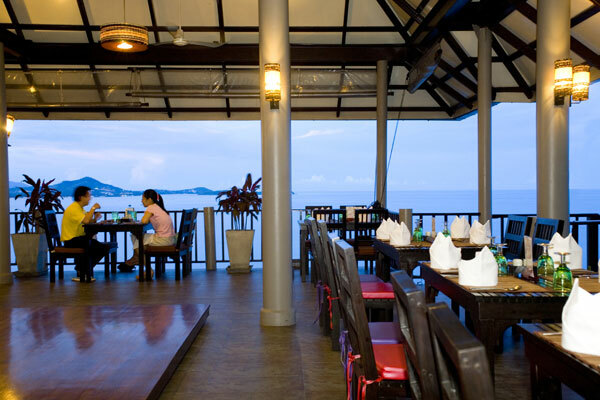 HAPA Best Concierge – Dewa Phuket. HAPA Best Housekeeping – Anantara Phuket Villas and Conrad Bangkok. CONRAD BANGKOK has been named Thailand’s best hotel by Hospitality Asia Platinum Awards for 2011-2013 and Anantara Phuket Villas,Thailand’s best resort. Anantara Golden Triangle Chiang Rai received the HAPA Award for the best service; and Mezzaluna, Tower Club at LeBua Bangkok, the HAPA award for the bestThailand restaurant. SIX SENSES BEYOND PHUKET has been named best international destination spa by international readers of SPA Traveller. This is the first year for The SPA Traveller Awards. Online voting took place a six-month period, during which readers were asked to nominate their favourite spa, treatment, therapist and cuisine. There are 12 categories in the UKand 10 in the international section, along with three in the exclusive Editor’s Choice. Manish Puri, general manager of Six Senses Yao Noi thanked voters and noted that Six Senses was looking forward to launching a series of wellness programs at the end of the year. 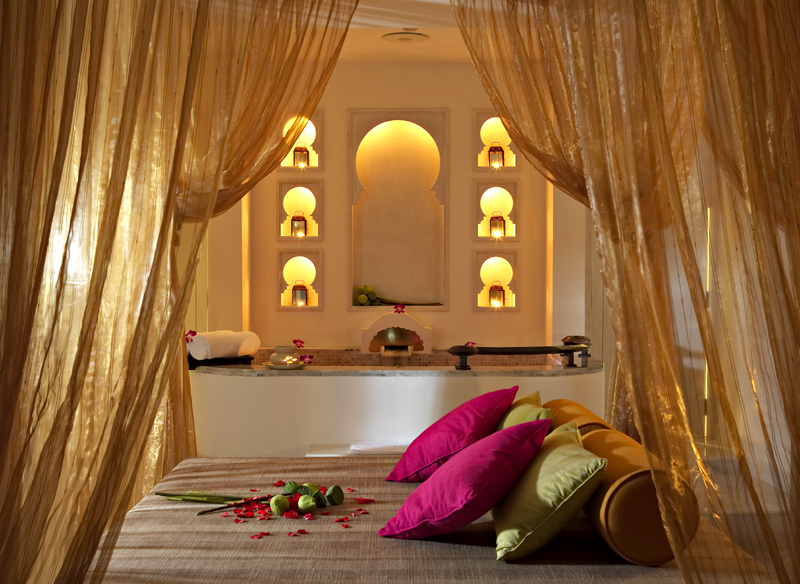 The specially designed Six Senses Spa Village provides a relaxing and revitalizing experience. Skilled therapists create sensory journeys for guests with a range of holistic wellness and pampering treatments, using only natural products. The spa is nestled in the lush tropical forested hillside and styled as a traditional Asian long-house. Surrounded by marine parks, Koh Yao Noi is situated midway between Phuket and Krabi, just 24-kilometres to the East of Phuket in Thailand. It lies within the protected waters of the Phang Nga Bay, offering unique views with its limestone islands known from the James Bond movie “The Man with the Golden Gun”. The vegetation and tropical landscaping provide natural privacy between its elevated villas. 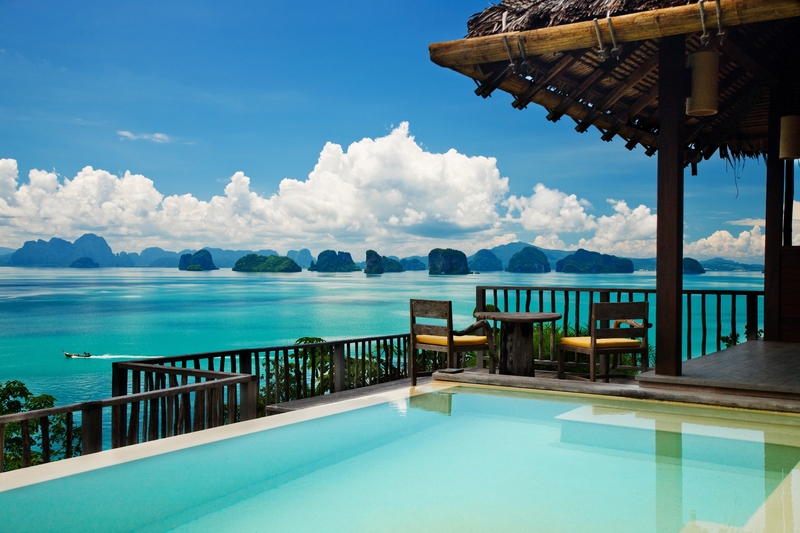 Its Sea View villas offer great views over Phang Nga Bay and its Mountain View villas are set in tropical forests. ROYAL GARDEN SPA in Pattaya is offering a special Elemis Touch of Winter treatment for visitors during the month of December. The treatment combines a 60-minute lime and ginger salt glow with either a 60-minute skin specific facial or deep tissue muscle massage. Spa visitors who take advantage of this offer will also receive an Elemis 20th anniversary skin nourishing milk worth 3,600 BHT to continue their spa journey at home. The exotic lime and ginger salt glow is an exfoliation ritual designed to energize and revitalize the body and uses citrus fragrances and oils to leave your skin feeling cleansed, softened and replenished. The Elemis herbal lavender repair for oily skin and the Elemis exotic moisture dew for dry skin are deep cleansing facials that use therapeutic-grade products to eliminate blocked pores and accelerate skin repair.